Interestingly, Pankaj has also contributed to the script of Happi. The black and white movie has been directed by Bhavna Talwar. Happi, a feature film by Bhavna Talwar, stars veteran actor Pankaj Kapur in the lead. The black and white movie has been produced by Vistaar Religare Film Fund & WSG Pictures. Supposedly, the Toba Tek Singh star’s character in the flick is an homage to Charlie Chaplin for Pankaj plays quite a “Chaplin-esque” role. Actor Shahid Kapoor, son of Pankaj Kapur, had tweeted about how his Happi left him amazed. “Saw some footage of dad’s next as an actor called Happi… Just stunned with what I saw… Amazed at how he creates a new person with every role he does,” Shahid posted on the micro-blogging site Twitter. Director Bhavna spoke to a leading newspaper about her film devoid of colour. It is the ‘Chaplin-esque‘ element to be thanked for! “When we saw the finished product and how profoundly sincere a tribute Pankajji had paid to Chaplin we couldn’t resist turning it into black-and-white because that was the colour complexion of Chaplin’s cinematic world,” she told the daily. Interestingly, Bhavna had cast Pankaj Kapur in her debut film Dharm. After much delay, Happi is finally set for a release. The film will now have a digital release, on ZEE5, on 16 April, 2019. Interestingly, Pankaj has also contributed to the script of Happi. It also stars Supriya Pathak, Hrishitaa Bhatt, Nakul Vaid, and others. Are you a fan of Pankaj Kapur and his works? Comment with a yay or nay in the box below! 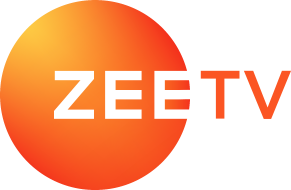 Don’t forget to check out the collection of latest Hindi, Marathi and South-Indian blockbuster movies on ZEE5.